It would appear that summer is well and truly over now. I was hoping for an Indian summer, but as we head into October and threats of the coldest winter in decades, it's not looking likely. 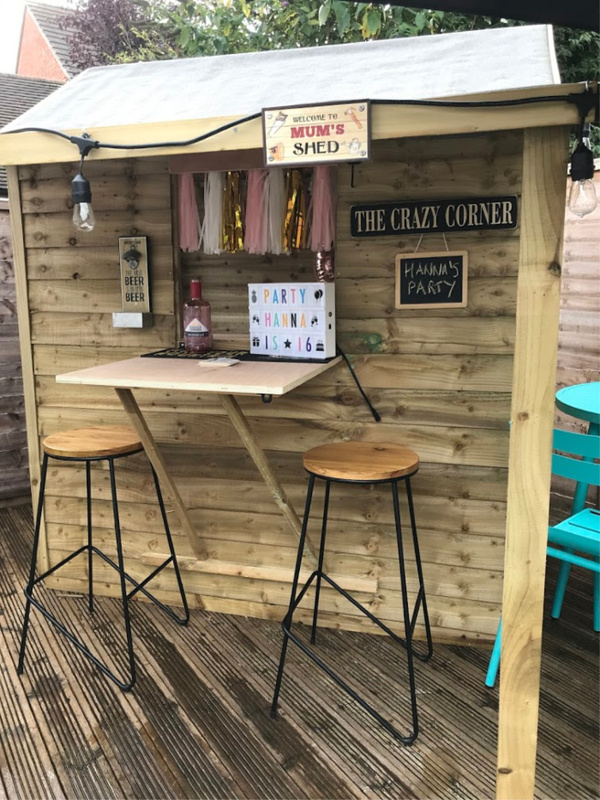 We managed to stretch the summer out as long as we could, and the arrival of our new garden shed meant we had somewhere to shelter in the garden when the rain came. 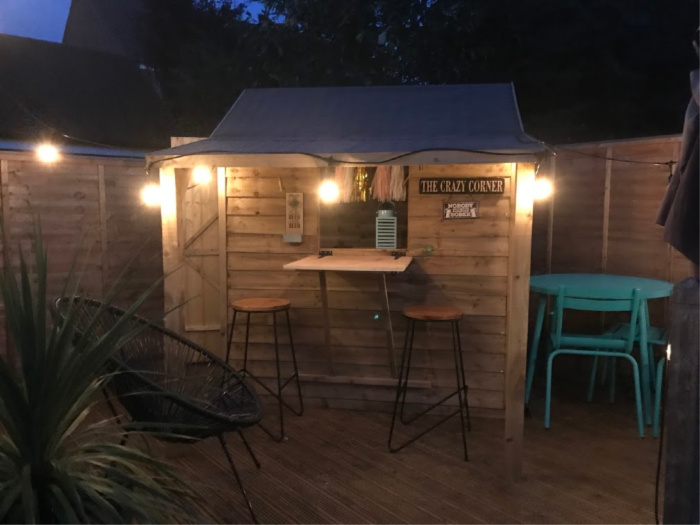 I've wanted a garden shed for a couple of years, but it's one of those things that we've never got around to organising (or agreeing on), so when we were offered a shed from Garden Site there was no hesitation. I also knew that I didn't want just any shed, it had to be a certain design, as well as being the right size for the space we had. 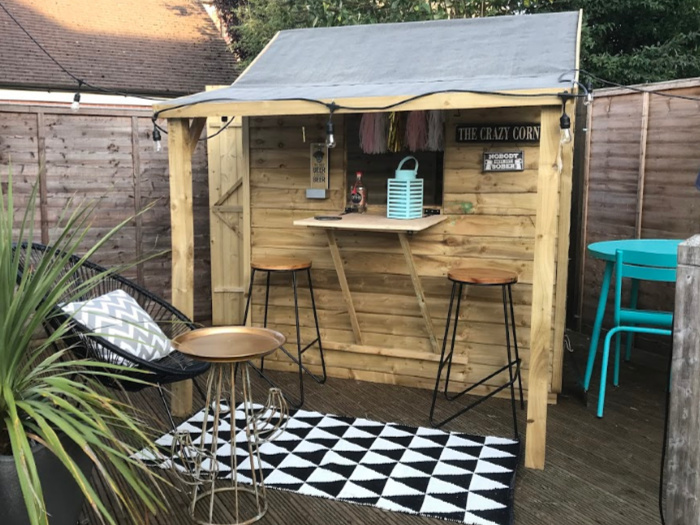 My shed wasn't going to be a place to fill with tools or bikes, nor somewhere to potter with plants, or even a relaxing place to ponder. 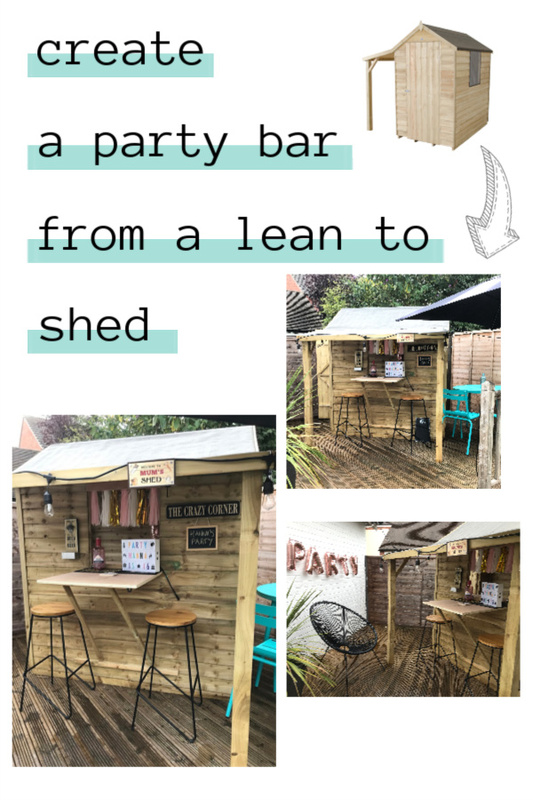 Nope, my new shed was going to be a party bar, aka The Crazy Corner; a bar and shelter in the corner of our garden. We started with a 4ft x 6ft Forest overlap lean to shed , which was pretty straightforward to build by myself and the husband one Saturday, despite our ratchet screwdriver being the closest thing to a power tool that we had! 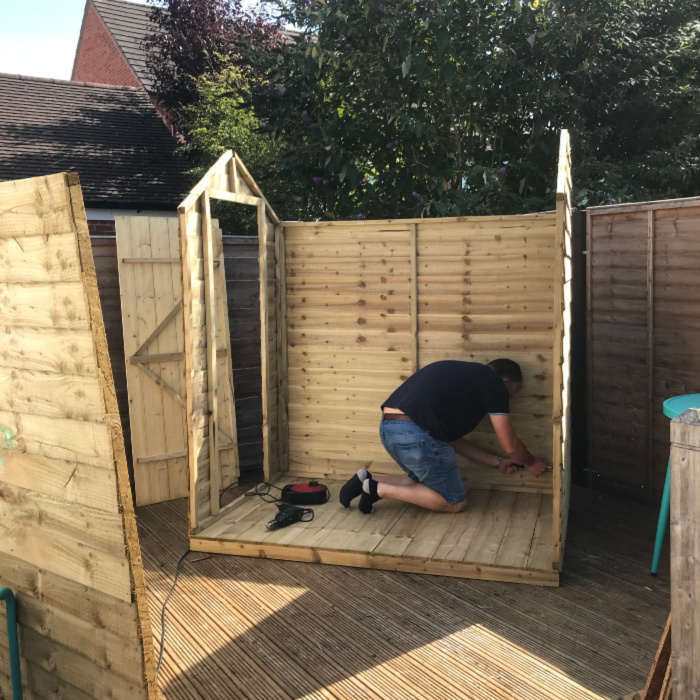 It needed both of us to fit the sides to the base, but once they were in place I completed the next few stages by myself whilst he went to football, returning to fit the roof panels and roofing felt together. We decided to leave the window pane out and instead I replaced it with a pull down plywood shutter that doubles up as a table supported by removable supports, based on this idea. Inside I've only added a plywood shelf and, for now, a camping table. There's not a lot of room for much else inside, but it's big enough for serving drinks and snacks. 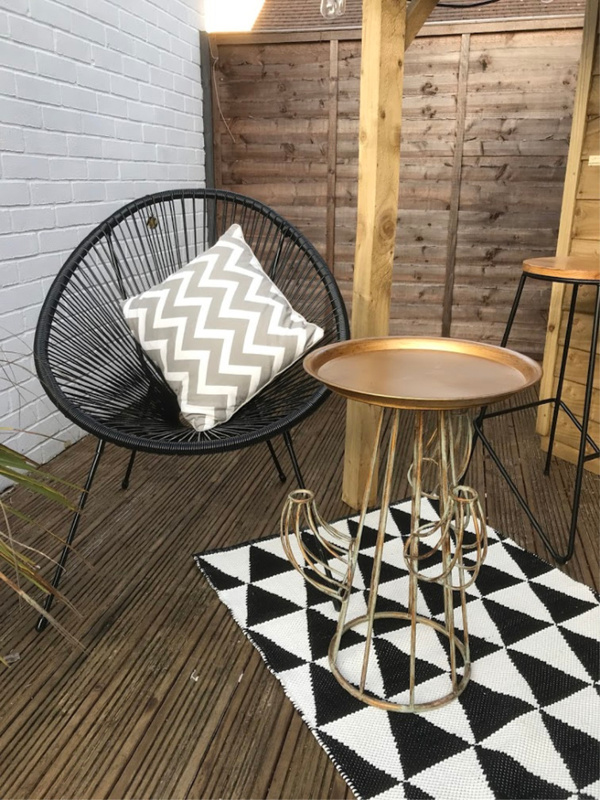 Outside I've added a couple of bar stools, along with a 4 seater table and chairs and my Bundleberry string chair. If you're over 6ft you'll find it necessary to stoop a little to stand under the canopy, but once seated most people can sit comfortably!